The kitchen is the heart of the home, but there's another room in the house that is attracting the eye of potential home buyers. According to a new study conducted by the National Association of Home Builders, for Millenials, the most-wanted room in the house is a separate laundry room. Fifty-five percent said they wouldn’t buy a new home that didn’t have a separate laundry room. They also ranked storage as important, such as linen closets, a walk-in pantry, and garage storage. With the laundry room weighing so heavily on people's minds, it may be a good time to rethink how your laundry room is set up. Could the layout be more functional? Could it use a face-lift with a fresh coat of paint, new windows, or cabinets? Look at the room through the eyes of a potential home buyer and see what works and what doesn't. 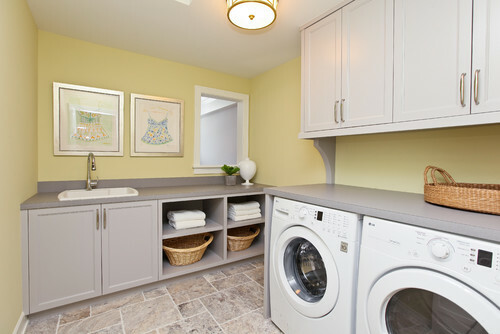 Here's a few photos from Houzz.com to get your wheels turning about how you can revamp the look of your laundry room. 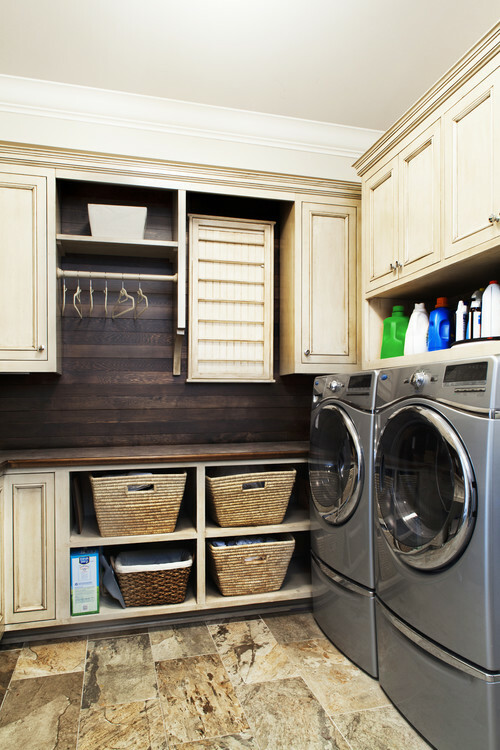 Consider installing cabinets or baskets to hide clunky cleaning supplies or laundry products. 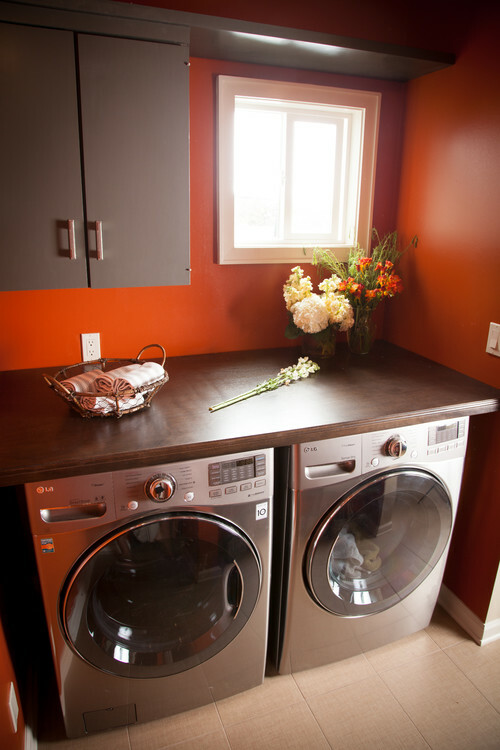 Give your laundry room a fresh look by adding a quick coat of paint in a bright and cheery color. Maximize your small space by adding a countertop above your washer and dryer for an easy folding counter.